The variable number of screws parts allows the optimal length to be achieved saving installation time. 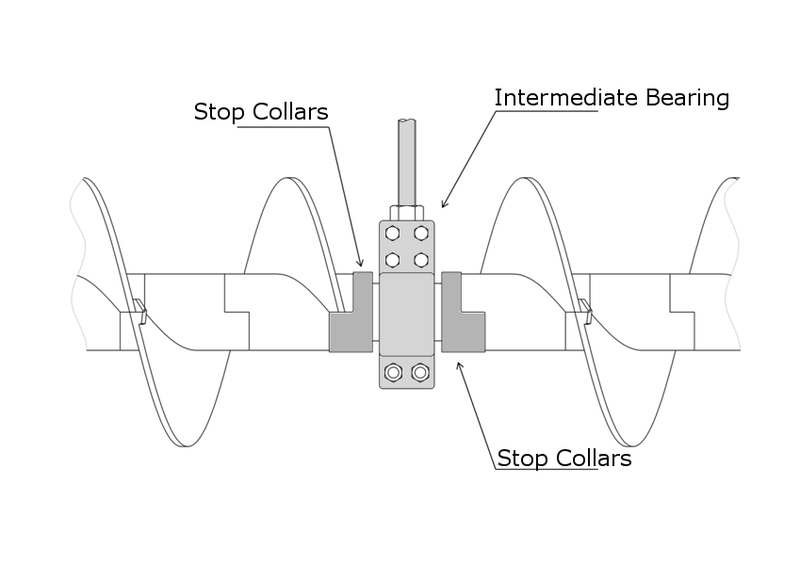 As the conveyed volume is kept at almost proportional to the screw-rotation, a precise and stable transport volume can be achieved. 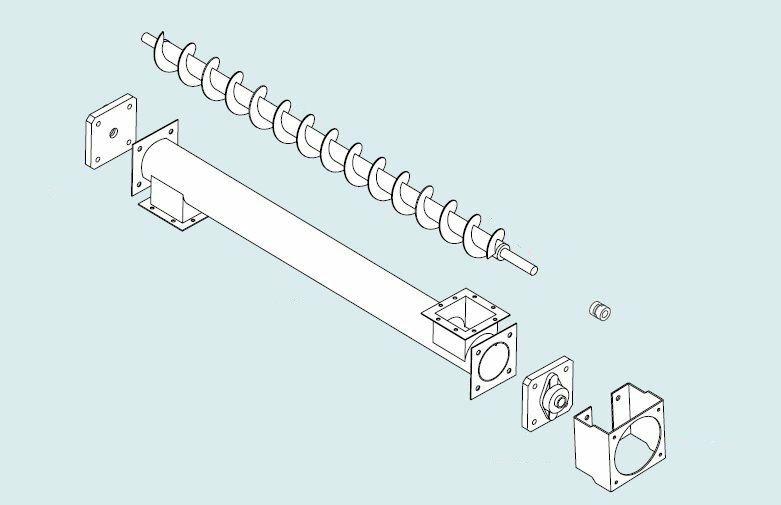 Moreover, due to the hermetic structure of the screw there is no possibility of dust contamination from outside. Just like a stainless steel, it is free from rust formation, but being much cheaper. 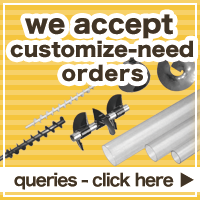 By varying the number of screw parts the optimal length can be achieved saving installation time. Moreover, as there is no need for welding or sanding as with metal, assembly time is reduced. Proside* has high abrasion-resistance properties. Proside* demonstrates stable resistance characteristics to various chemicals and is not affected by weak acids and alkali ※however, acidic substances should not be used. It may withstand high temperatures up to 60 C, with the heat resistant types withstand temperatures up to 100 C.
※Cold-resistant type (possible lowest temperature -20C) and antistatic models can be made upon request. feel free to consult when the screw is to be used under water. MC Nylon, UHMW-PE, POM, Fluororesin and etc. 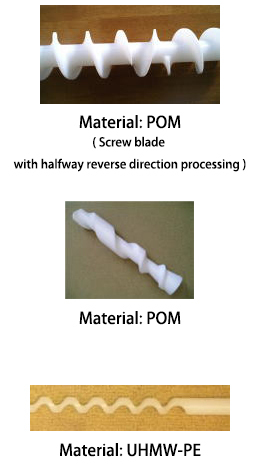 ･As it differs from the metal pattern production method, it is possible to produce screw shaft with desirable size. ･The material the screw is to be made is up to your request. * please be advised to consult us whether your request is possible for processing. Nylon-made, applicable shaft diameter 25.4-60.5. 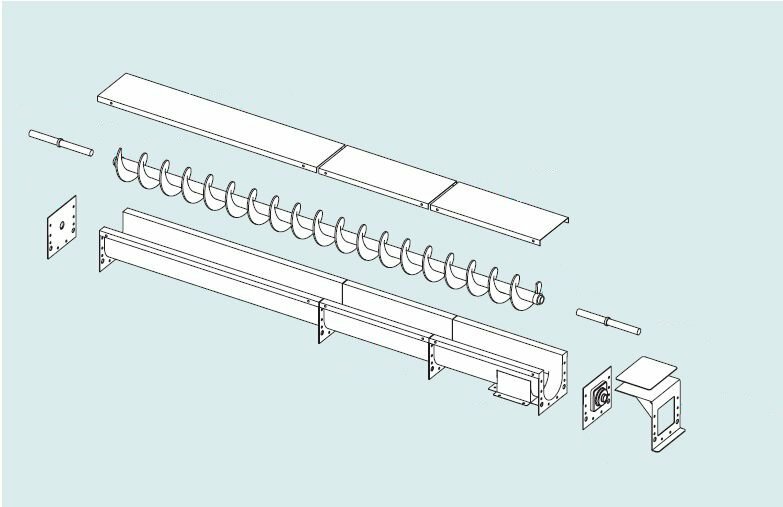 U-shaped casing(trough) and Pipe-shaped casing types. 547-0041 Hirano-Kita 1-10-35 Hirano-ku Osaka, Osaka Pref. Japan. 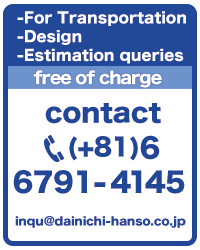 (C) Dainichi Hanso co.,ltd. All Rights Reserved.